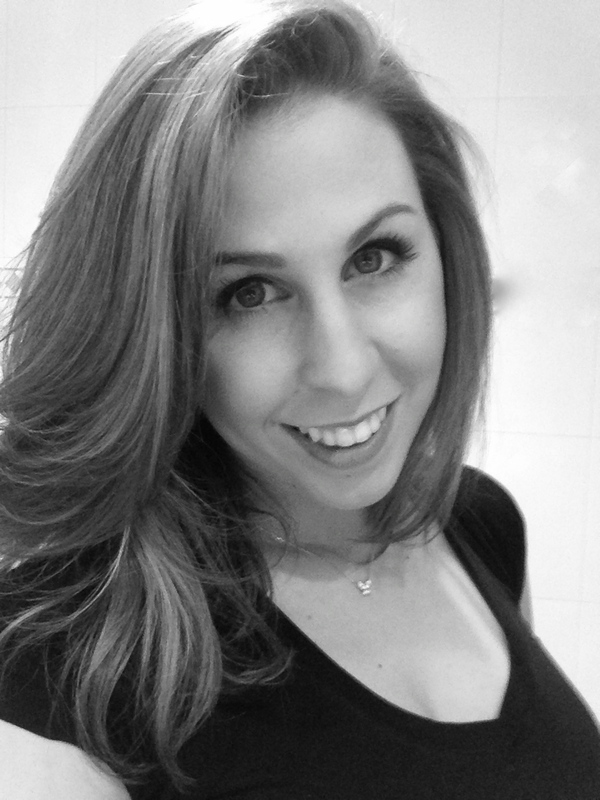 Meet the Team: Gabrielle Salerno – Design Your Lifestyle. July 2013 July 2013 Peter Salerno, Inc.
Meet Gabrielle Salerno, our head of Customer Relations and Social Media. Chances are, the first thing that will catch your eye when you enter the beautiful showroom of Peter Salerno Inc. is a broad array of beautiful, award-winning home designs. The second thing you’re bound to see is the friendly, smiling face of Gabrielle Salerno. Gabrielle is the head of Customer Relations and Social Media Outreach for Peter Salerno Inc., and is proud to be part of the third generation of Salernos in the design industry. We sat down recently with the charming Ms. Salerno to find out more about her background, her love for all things design (and Disney), and just what it’s like being a third-generation design professional. Peter Salerno Inc.: So how long have you been a part of the team? Gabrielle Salerno: I’ve been officially working here for a year, but the business has always been a part of my life. Gabrielle: Not at all! My brother Anthony and I both work here now, but we’ve been around since we were kids. PSI: That must have been something. Gabrielle: I remember when my brother and I were kids, we would go to our grandfather’s shop (Salerno Kitchens), and sneak into the workshop. Obviously, kids weren’t allowed in there, so we would hide in giant armoires and cabinets and try not to be found. Sometimes we’d get caught and the workers would yell at us, but it was amazing to see how they would create everything. It was like being in Santa’s workshop. PSI: So you and your brother spent a lot of time around the business growing up. Gabrielle: (laughs) Yeah, I also remember Anthony would sit behind a big desk and pretend to be The Godfather. Our friends and I would come to him and ask for favors… it was pretty funny. PSI: What attracts you to the design business now? Gabrielle: I’m a visual person in general; I have a theatre and dance background. I like the way things move and sound, how they incorporate with one another. That’s why I love the designs here; my dad and the designers make everything move and flow together. PSI: What about your father (Peter Salerno) inspires you the most, in terms of his craftsmanship? Gabrielle: It’s a lot of things people wouldn’t notice. He makes design personal. I’ll watch him ask his clients about themselves, their lives, and then find unique ways to personalize their designs with that information. Gabrielle: In our own kitchen, for example, there are painted flowers on a lot of the cabinetry. Most people wouldn’t know this, but the flowers represent the birthday months of all our family members. He does things like that for pretty much all his clients; it shows how much my dad truly cares about his work and the people he’s creating designs for. PSI: What’s your favorite part of the Peter Salerno Inc. showroom? Gabrielle: My absolute favorite showroom display is toward the front of the building. The blue La Cornue kitchen range and appliances with the reclaimed tin hood, surrounding by the butternut cabinets and walnut island. There’s such attention to detail – especially for a display piece. PSI: Everything sounds just wonderful… but come on, you work with your entire immediate family every day. Gabrielle: Working with my immediate family – some days I’m sure we can all test each other’s patience. But it’s like an on/off switch; as soon as we all get to the showroom, we all work really well with one another. PSI: I guess it’s all part of being the third generation of a family business. Gabrielle: Sure – and I know it means a lot to my grandfather that three generations of his family are in the same business. I absolutely love when he comes in the office, and I can offer him a cup of coffee. His face lights up, and it’s like a really nice bonus for me. In that respect, it’s even more rewarding. PSI: Last question, just for fun: if you could be anywhere in the world, right now (and don’t say the office), where would you be? Gabrielle: I’m going to say Disney World. It’s such a happy place, and everything always seems so perfect. Anytime I look at pictures of Disney, seeing the faces of kids meeting the characters for the first time – it always makes me feel good. Keep visiting our blog for more interviews with the team – and visit our website: Peter Salerno Inc.